Displays & Racks are the heart of most shops and stores. 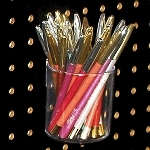 Each rack filled to the top with colorful and varied merchandise for customers to peruse. Now, for a limited time, all the displays on this page come to you with Free Shipping. 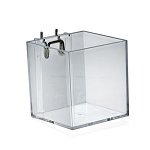 Plastic Divider Bin 16 in. No codes. No minimum purchase required. Just take a few minutes to look at the wonderful displays and racks eligible for the free delivery, select the ones you want and the shipping is on us. 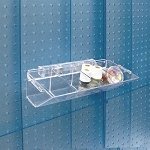 Countertop displays with bins make wonderful impulse racks as well as provide the option of showcasing many different items in one spot for one stop shopping. 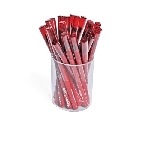 Rotating racks give customers an easy way to quickly view up to thirty buckets of goodies in your store. 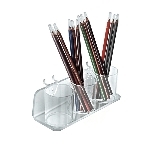 Imagine all the toys, candy, souvenirs and more you could offer with such a fantastic display stand. 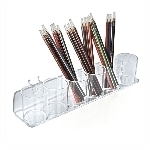 The more you shop this page the more you are sure to find display racks that are going to meet your needs and increase your profits. Take advantage of this limited time offer to have it delivered at no cost and order today!